Elko, NV – March 10, 2016 – Lithium Corporation [OTCQB – LTUM] “the Company” is pleased to announce that it has signed a definitive agreement with 1032701 B.C. 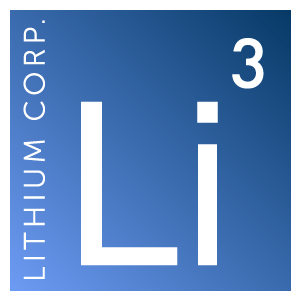 LTD., a private British Columbia company with respect to the Fish Lake Valley lithium brine property in Esmeralda County, Nevada. The terms of the formal agreement are much the same as those laid out in the February Letter of Intent (LOI) signed with 1032701; payment of $300,000, issuance of 400,000 common shares of the publicly traded company anticipated to result from a Going Public Transaction, and work performed on the property by the Optionee in the amount of $1,100,000 over the next three years to earn an 80% interest in the property. 1032701 then has a Subsequent Earn-In option to purchase Lithium Corporation’s remaining 20% working interest within one year of earning the 80% by paying the Company a further $1,000,000, at that point the Company would retain a 2.5% Net Smelter Royalty, half of which may be purchased by 1032701 for an additional $1,000,000. Should the Purchaser elect not to exercise the Subsequent Earn-In, a joint venture will be established. During the Joint Venture, should either party be diluted below a 10% working interest – their interest in the property will revert to a 7.5% Net Smelter Royalty. The first tranche of cash and shares are to be issued within 60 days of the signing of the formal agreement.